There was a brief moment of panic on the streets of Paris Friday after a tiger escaped from a circus and jumped onto subway tracks, police said. But it turned out to be the tiger's last act. 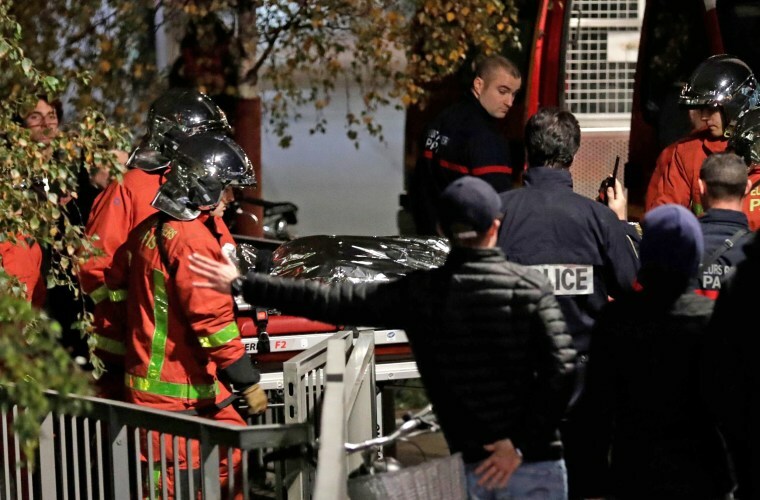 The 2-year-old big cat was shot dead by its owner near the Garigliano Bridge late Friday afternoon after escaping from the Bormann circus in the city's 15th arrondissement, the public broadcaster France Info reported. The tiger was hit three times, dying after being struck by the second bullet, Le Parisien reported. The RATP, Paris' transit operator, briefly suspended service on a tram line for about 30 minutes while the tiger was on the loose, France Info reported. Multiple witnesses told France Info that they saw armed police and firefighters respond to the scene before hearing gunshots. "The owner was in shock," Valerian Fuet, a spokesman for the firefighters, told Agence France-Presse. "When we arrived, the 200-kilogram tiger was already dead." The tiger was shot in an alley, Fuet said, "it was not in the street, there were no passers-by." A police investigation has been opened into the tiger’s escape, and the owner was taken into custody, AFP reported, citing a police source. Philippe Goujon, mayor of the 15th arrondissement, told Le Parisien he was concerned about the security procedures at the circus. "What worries me is that the security conditions have allowed a tiger to escape in the middle of Paris and cross the Boulevard des Maréchaux," Goujon said. On Nov. 14, animal rights activist Camille Gevaudan posted a photo of three tigers, including the one that escaped Friday, on Twitter. "The Bormann circus is setting up outside our windows," Gevaudan said at the time. "Three tigers turn in circles in 3 square meters. It'll make me crazy." Gevaudan denounced the conditions that led to the tiger's escape and death. "After a life of misery, he was very scared, and he was shot," she said tweeted Friday. "When are we going to ban animals in circuses like civilized people?"